Energy Technologies, Inc. (ETI) provides backup power and power conditioning solutions for many industrial clients around the world. Our Uninterruptible Power Systems (UPS) in rugged NEMA cabinets, inverters and other products are important components for all facets of the oil industry from deep sea exploration to refineries. ETI's Extreme UPS are temperature hardened products in service around the country in unconditioned hostile environments. 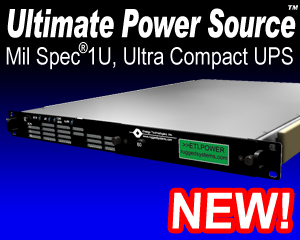 Most commercial UPS and Power Conditioning products are designed for controlled environments as found in computer rooms. The best of these have operating ratings of 0°C to +40°C (32°F to +104°F). However, in uncontrolled environments such as outdoor applications, those competing units typically fail due to temperature. Utilizing our certified environmental test chamber, ETI has designed and qualified the ExtremeUPS line to operating temperatures of -40°C to +65°C (-40°F to +149°F). Energy Technologies, Inc. (ETI) provides backup power and power conditioning solutions for offshore oil platforms around the world. Our Uninterruptible Power Systems (UPS) are secured in in rugged NEMA cabinets to function in harsh conditions under extreme temperatures and salt water exposure. Energy Technologies, Inc. supports oil pipelines in El Paso, Texas with our Eti0005-series, Uninterruptible Power Supplies. Installed in a weather proof NEMA cabinet, these units are mounted on poles and covered by a stainless steel “Teepee” for shedding solar loading in a Relay Hut.